× E-mail address successfully inserted into sk16 database. - Demographics: Brussels (20.58%), Bratislava (16.79%), Berlin (4.69%), London (4.35%), Prague (1.99%), Vienna (1.68%), Paris (1.62%), Warsaw (1.34%), Saint Julian's (1.27%), The Hague (1.21%) etc. - Most clicked buttons: "Presidency", "SK PRES", "2016", "media", "Foreign Affairs", "Europe", "Bratislava", "Science", "Fico", "Economy", "Refugee", "Transport", "Teacher", "Interior", "Leaks", "Corruption", "Culture", "eu2016.sk", "ngo", "Intelligence", "Police", "Strike", "UNESCO"
- Google ranking: "slovak presidency" (position 1.1), "slovakia eu presidency" (1.2), "slovak presidency eu" (1.2), "slovak eu presidency" (1.1) etc. WHAT SHALL (most probably) HAPPEN ? 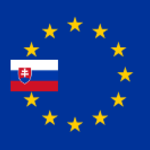 - sk16 shall keep its #1 google rank for query "slovak eu presidency"